A Ø107 mm clutch at a low price, solid, lightened and which will offer you additional performance! 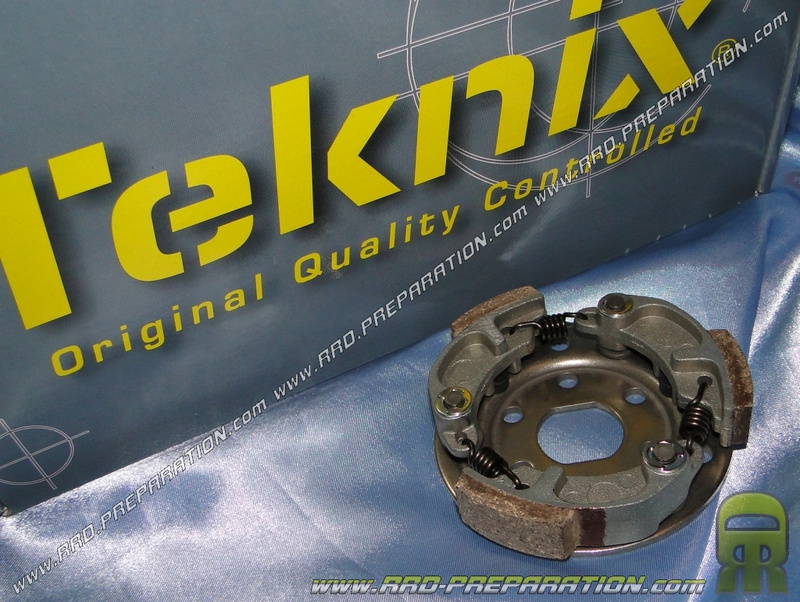 Ideal to carry out a complete refurbishment of your transmission, here is the clutch TEKNIX 3 jaws original type improved for scooter minarelli / yamaha ... Of good quality, it is a good compromise, to accompany it with a bell of quality the same diameter. Features a reinforced hanging trim, with a diameter of 107mm, equipped with springs that disassemble to refine your settings ... It is already reinforced to hang later and lightened. Clearly, an element combining quality / performance / low price! Mounts booster, nitro, aerox, Typhoon, speedfight ... but also moped Peugeot Fox and Honda Wallaroo.